CREATIVE CULTURE, Vol. 1 - Black Love. 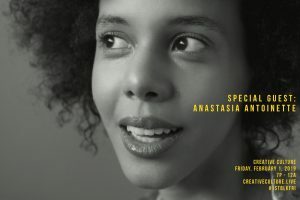 Live Performances by Aaron Abernathy with Special Guests Anastasia Antoinette and Brian Jones. 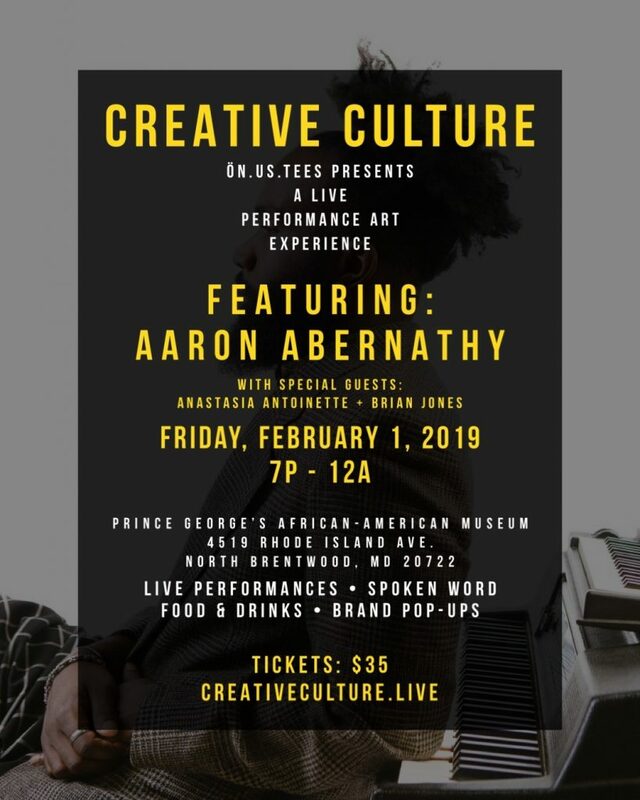 The Prince George’s African American Museum and Cultural Center in conjunction with Creative Culture, brings to you a celebration of artistry. Historically, the preservation of art that informs or symbolizes a culture, occupies a sacred space within our society. Museums are a way of preserving and highlighting our history and a journey to a museum often allows us to transport ourselves to another time and place, forgetting the cares of the current world. The same can be said of art – it preserves and transports us while at the same time giving life to a physical, musical or visual representation of an emotion or thought. With art, we can lose ourselves in its beauty, be informed by a creation or allow the art to transform us in some way. Through art we can uplift and inspire. Through art we can open minds and reframe opinions. Through art we can tell a story that builds a bridge between cultures, not a wall. 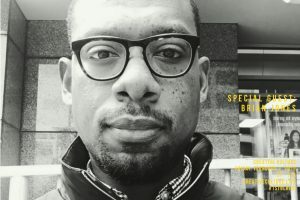 How our culture infuses our collective psyche giving rise to performance artists creating more unique art, is the creative space through which we aim to highlight artists. Our goal is to give a safe performance space for the creative cultural juxtaposition of art, social commentary, political explorations and matters of the heart. We seek to showcase culture in dynamic tandem with gifted artists performing across a variety of mediums. 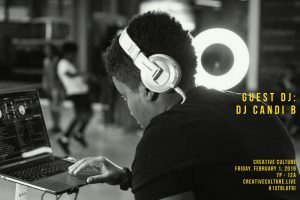 Come out and support these artists the first Friday of every month as they showcase their range of skills. Along with a changing line-up of live performances, local food & drink vendors will be on site bringing a myriad of flavors to the party. Additionally, a variety of local retail brands will be present. February is Black History month and the First Friday performance on February 1st will celebrate Black Love. Network, be inspired or simply come to enjoy local performers. 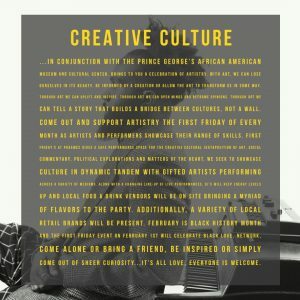 To support and register for each Creative Culture First Friday events at PGAAMCC, please visit CreativeCulture.Live.